It’s that time of year again! As beautiful as Springtime is, it does bring along with it those pesky seasonal allergies. So, what exactly triggers those watery eyes and sneezing fits? And, is there anything we can do about it naturally? So, you walk out to your car in the morning, and there it is… That beautiful, mustard-hued enemy – pollen. Pollen is distributed into the air during pollination. Most of us imagine a honey bee perched on a flower when we think of pollen, but it also comes from grass, trees, as well as weeds. The most potent form does seem to come from trees though. Elm, Sycamore, Walnut, HIckory, and Pecan trees do tend to release the most reactive forms of pollen. Trees such as Fig, Pear, Dogwood, and Crape Myrtle, tend to be safer on our sensitive sinuses. So, how do we keep this nuisance from ruining this awesome season? The obvious choice would be to avoid the outside world altogether, but since this isn’t really an option, we can definitely reduce our chances of an allergic response by limiting our time outdoors during peak hours. Pollen counts rise during the morning, peak around midday, and drop off from there. So, early in the morning and later in the evening would be ideal times to get some fresh air. You can also try a neti pot. This is a tiny pot, almost resembling a miniature teapot, that is used as a sinus irrigation system. It utilizes a saline solution to cleanse your nasal passages, and washes away pollen residue as well as other allergens and irritants. The saline solution keeps the area from drying out, which could cause further congestion. 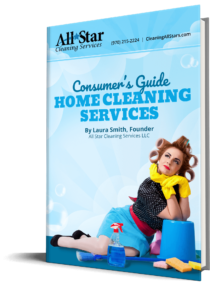 How about some Spring cleaning? Pollen settles on our clothes and cakes our shoes, which means it is also transferred and tracked into our homes. Keeping our houses dusted and our floors pollen-free will keep our home a safe-haven from allergies. Feeling overwhelmed? Hiring a cleaning service gives you the peace-of-mind that your home will be cleaned thoroughly, without sacrificing valuable family-time. So, let’s go show Spring allergies who’s boss!